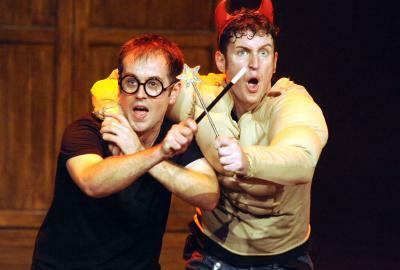 Jeff Turner and Daniel Clarkson in Potted Potter at The Shakespeare Theatre Company. 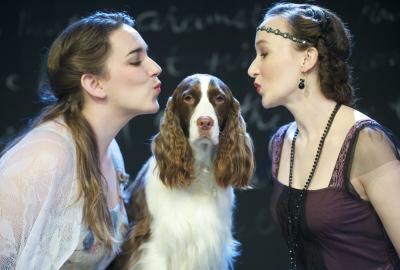 Amy Pastoor, Julie (as Crab the dog), and Laura Rocklyn in Annapolis Shakespeare Company’s Two Gentlemen of Verona. 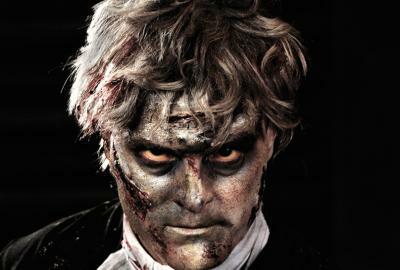 Tim Getman in Zombie: The American at Woolly Mammoth Theatre Company. Ella wrecks a perfectly good suicide pact by jumping the gun, leaving her three pact-mates to deal with a lifetime of hoarded belongings, Bob Dylan memorabilia, and an immortal dog. An unlikely comedy about living, dying, and trying to find really good reasons for both. NSFW (Not Safe for Work) is a hilarious, biting comedy about power games and privacy in the media and how magazines objectify women. When Aiden, editor of “Doghouse” men’s magazine, charges his team of journalists with finding an amateur model for a racy photo spread, he can’t foresee the trouble it brings. In the aftermath, feature writer and prime casualty, Sam, seeks a lifeline at “Electra,” a stylish women’s magazine that surely can’t be anywhere as bad as his last job...or can it? Meredith McDonough (from Actor’s Theatre of Louisville) directs the American premiere of a funny, timely new play by Lucy Kirkwood, one of Britain's most exciting playwrights. 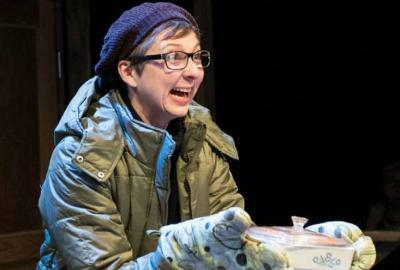 Potted Potter returns to Washington by popular demand! Playing to sold out houses all over the world, Potted Potter takes on the ultimate challenge of condensing all seven Harry Potter books (and a real life game of Quidditch) into seventy hilarious minutes. This fantastically funny show features all your favorite characters, a special appearance from a fire-breathing dragon, endless costumes, brilliant songs, ridiculous props and a generous helping of Hogwarts magic! Even if you don’t know the difference between a Horcrux and a Hufflepuff, Potted Potter will make you roar with laughter. Valentine and Proteus are best friends until they fall in love with the same girl. Having travelled to Milan in search of adventure, they both fall for the Duke's daughter Silvia. But Proteus is already sworn to his sweetheart Julia at home in Verona, and the Duke thinks Valentine is not good enough for his Silvia. With friendship forgotten, the rivals' affections quickly get out of hand as the four young lovers find themselves on a wild chase, confused by mistaken identity and threatened by fierce outlaws before they find a path to reconciliation. The year is 2063 and Thom Valentine, the first openly gay President of the United States, faces a host of problems: an imminent civil war, the threat of an African invasion, an adulterous First Gentleman, and zombies in the basement of the White House! With his power, his marriage, and the nation’s well-being at stake, he must decide what he cares most about saving…and at what cost. From the recesses of Robert O’ Hara’s warped imagination comes a classically-inspired sci-fi thriller about a young Commander-in-Chief searching for the strength to hold our union together.